I know I've said this many times before but I love weekends for many reasons but one main reason- I get to dress down! I've been dying to wear these new jeggings I just got and didn't care that it was the last official warm day I was going to see for a while. I wore this outfit last weekend but never got around to snapping it. My mom and I were just doing errands around town, a trip to the local outdoor flower market, and some furniture shopping. 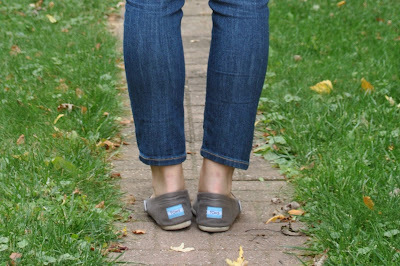 I really wanted to wear flats and knew that my Toms were perfect for this outfit. Very comfy, which I starting to think should be my new name. My Toms are very worn in. Do you have a pair yet? They do this great thing where for every pair of shoes you purchase they give a pair to a child in need. How amazing is that? It's called the "One for One" movement. (Check their site to find out more.) And the shoes are very reasonably priced. I don't know about you but I love feeling like I helped make a little difference in the world. How was your weekend? Mine was alright. I finally got everything transferred from one storage unit to another place, and only have a few bruises to show for it. I can not tell you the last time I had been that thankful to crawl into bed! I barely hit the pillow and I was asleep. Manual labor aside it was a great day- I got to spend the whole day with my dad and mom, (which doesn't happen often) and then we all spent the evening with my sister and niece. I gave her son my old bed- I thought since he's almost 14 it's time he graduated to a full size mattress :) I love weekends when you don't have much to show for it-no bags filled with new purchases, wallets emptied, or luggage to unpack. It was just a weekend with lots of love, helping, sharing, and quality time. Weekends like that tend to be more valuable than anything you could ever buy. Hope you all have a great week! Make sure to pack umbrellas-it's supposed to be a wet one here! Cuteness! 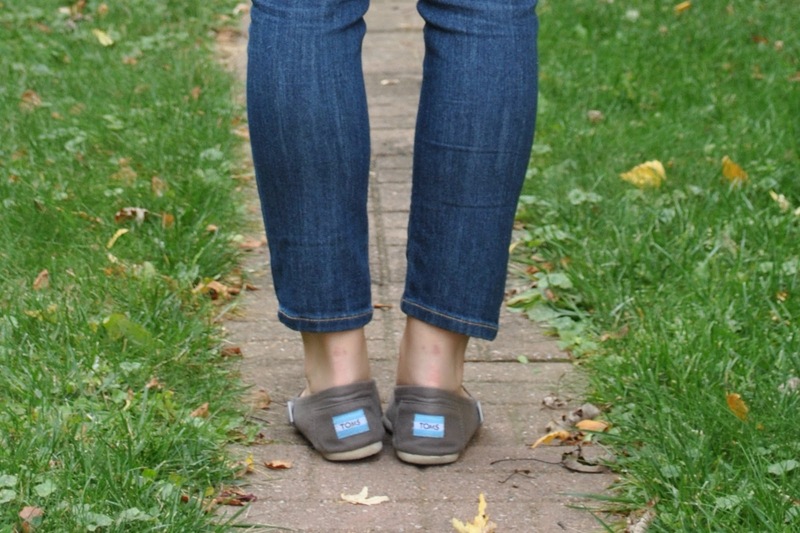 Love the denim leggings and the shoes! Yay jeggings! I'm so in love with mine...I even bought a 2nd pair.